Films as big as this invariably take on an almost religious fervour and following. I remember how shortly after the release of James Cameron`s Titanic in 1997, there were fanatical addicts of that film who had become completely obsessed with it, with some of them actually falling into deep bouts of related depression. There appears to be something intrinsic to human beings that makes us want to dedicate our all and everything to a certain brand, object, cause, issue, country, symbol, ideology, or personality. Perhaps it is a mutation of the “God gene” that leads the empty modern man or woman to fulfill his or her need for submission and the desire for mystical and spiritual experience through any arbitrary, misguided or hollow means, be it a song or the latest blockbuster Hollywood film. The search for something that can supplant the power of True Religion and Perfection continues on, as remote and unlikely of a goal as that may be. The latest and most outlandish of such a “religious” expression in regards to The Dark Knight Rises film has come from user comments on the review aggregate website, Rotten Tomatoes. In response to some negative reviews of the film from critics like Christy Lemire, certain users had called for her and others to be beaten up “with a thick rubber hose into a coma” and left to “die in a fire”. (That puts a whole different spin on one of the film’s main promotional mottos, “A fire will rise.”) In response to such death threats, Rotten Tomatoes decided to temporarily put a freeze on user comments until the hopefully-just-proverbial fire dies out and the temperature of the violent rhetoric cools down. Whether the issued death threats emanated from “worshippers” of the fictional character of Batman or those of the director Christopher Nolan, or both, is unclear. What is apparent, however, is that this illustrates and speaks of an undeniable aspect of the human psyche and spirit which longs to deify something or someone, and the new idols are often no less fantastic and absurd than the ones that they have replaced. Modern, “rational” agnostic types who have foresaken organized religion and “evolved” beyond such “primitive” emotions as the ones displayed by Muslims are apparently themselves not immune from spiritual relapse. In Batman Begins, Bruce Wayne is told that in order to accomplish his mission, he must become more than just a man; he must become a symbol. For a minority of extreme fans of the film franchise, Christopher Nolan’s Batman really has become a symbol, and a holy one at that. Disagreement over the virtues of Nolan’s depiction and vision of the beloved comic book character is a type of blasphemy that is not to be tolerated, and especially not during these first few holy days of the film’s inauguration at the box office. 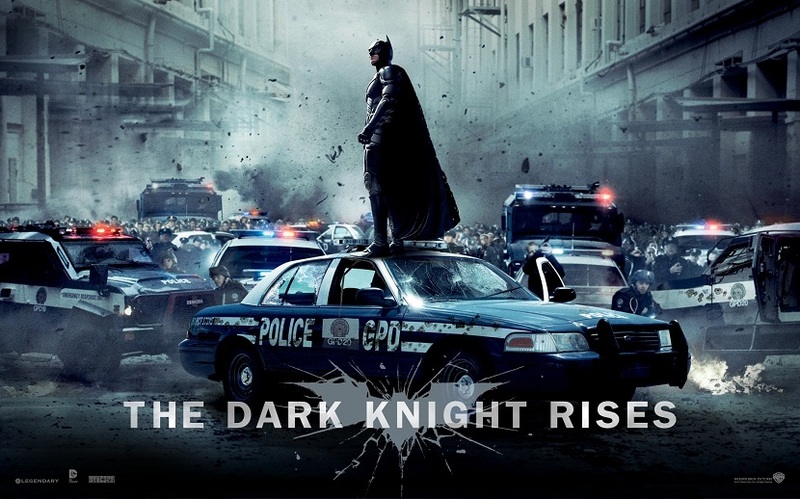 As the Ramadan moon rises, so does Nolan’s final instalment in this gripping trilogy. The front rows of the cinemas and the mosques in the coming days and weeks are sure to be filled with dedicated flocks of the faithful. It is with great regret that I mention here that the midnight premiere of The Dark Knight Rises in a cinema in Colorado last night was marked with a horrific terrorist bloodbath in which the violent rhetoric discussed above may have translated into actual reality. 24-year old James Holmes walked into a packed theater and threw canisters of (possibly chemical) gases into the audience and mercilessly unloaded his AR-15 assault rifle into the crowd. At the present time, 12 people are confirmed dead, with more than 50 injured. Holmes’ apartment was also found to be booby-trapped with “very sophisticated” explosives. His exact motive is not clear at this time. Our condolences go out to the families of the victims. Condolences to the families of those slain in the tragic event in Denver, Colorado..
As always great articles by you. I really like the comparison of faithfuls filling the front rows. It is very believable that we have this spiritual desire to serve someone and live for a cause. Believers use this desire to serve God and unbelievers use it to serve false gods or for Atheist/Agnostic types its movie characters. Nicely written. Great article and nice analogy. Prayers go out to the families of those who were shot by the terroristic gunshots by James Holmes. What a sad world we’re living in when we can’t even go to theatres and feel safe. I didn’t you could write so well, Sadat. Pleasant surprise. I wonder what “religion” was the accused.